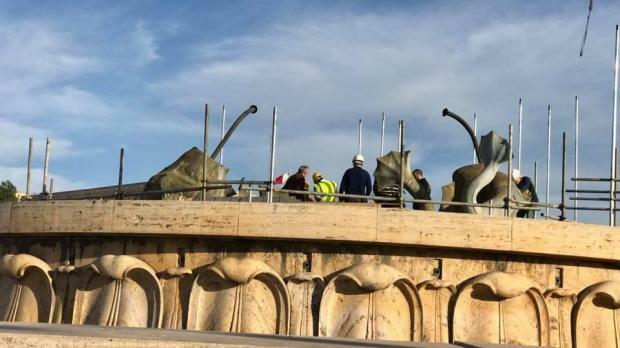 Updated 12.01pm - Works to restore the Tritons Fountain will cost some €4million, according to a new government entity for Valletta works. 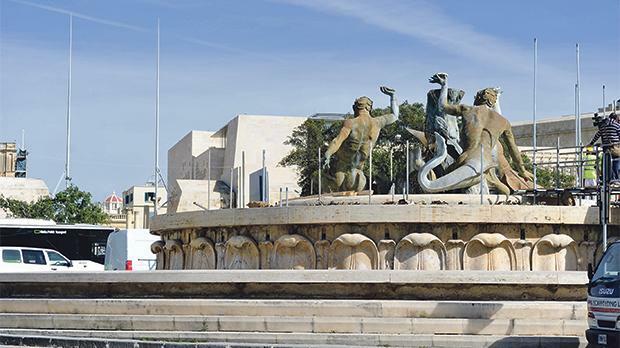 The Valletta Servicing Directorate, which was set up at the end of last year, said the works would be complete by the end of the year, and would see the fountain return to its former glory. 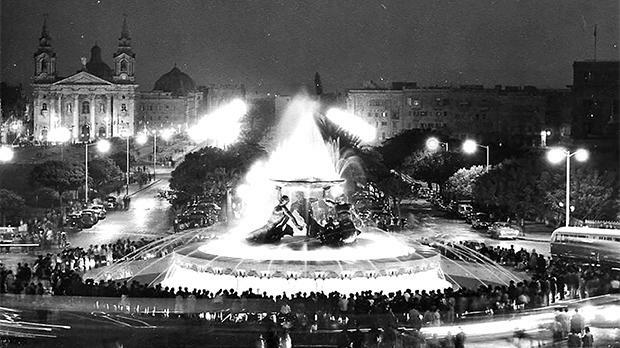 The fountain’s figures, which were designed by master sculptor Vincent Apap some 60 years ago in 1959, were lifted out of the large fountain at the entrance to Valletta on Saturday as part of a regeneration project for the entrance to the city. 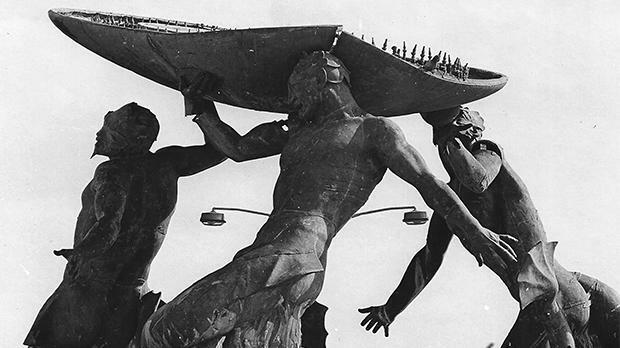 The Tritons Fountain restoration has been in the offing for six years. 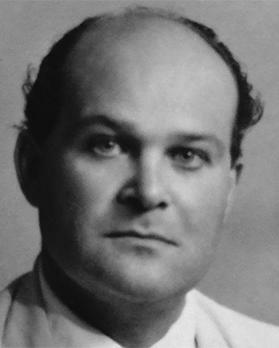 It forms part of a larger embellishment project comprising the City Gate Ditch, the pedestrianisation of the former bus terminus and the area around the RAF memorial known as Il-Biskuttin. Kenneth Cauchi, who is leading the restoration project, said he aimed to return the monument to its original glory. 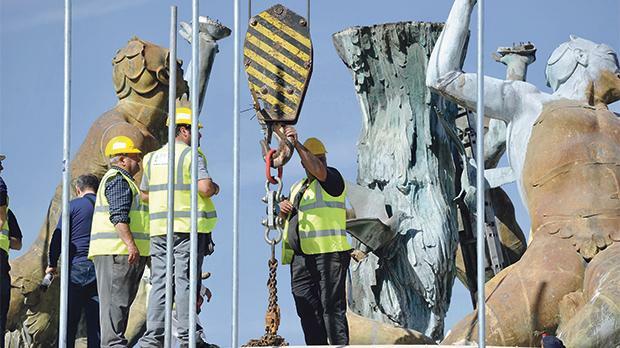 Transport Minister Joe Mizzi said the directorate had brought together different stakeholders involved in infrastructural works being done across the capital, including residents and business owners, to facilitate the works. 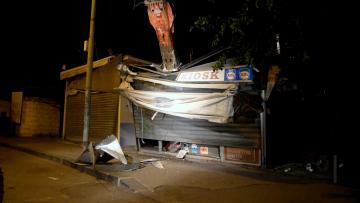 Much of the infrastructural interventions were being done at night to minimise inconvenience, he said. 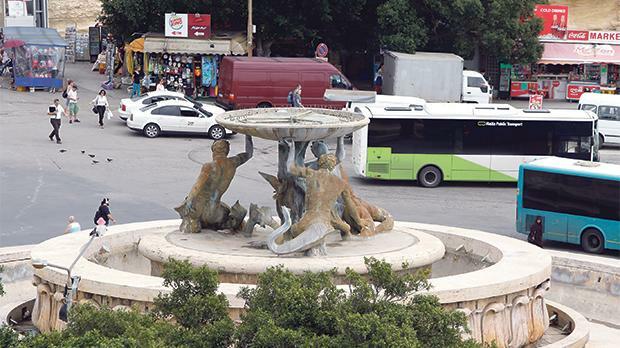 Meanwhile, Grand Harbour Regeneration Committee Chairman Stefan Zrinzo Azzopardi said the works to pedestrianize the area around the fountain leading up to Floriana, as well as works on the ditch beneath city gate would cost some €10 million. These would also be finished by the time Malta took on the crown of European Capital of Culture. 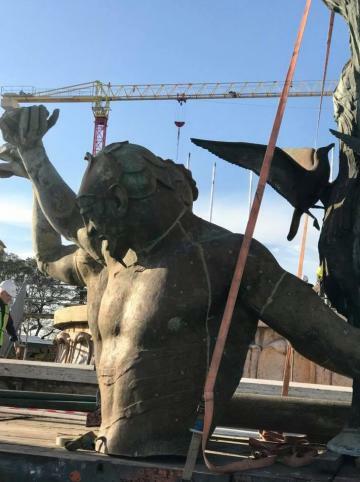 The ambitious restoration job, which was originally meant to take two years, will now see the three bronze Triton figures taken to a foundry for restoration and painted in azurite blue, as was their original state in 1959. The incongruous central pillar has already been removed to restore the fountain to its original design, which will need a new basin on top.